After discovering how fabulously glycerine captures the freshness of cucumber, I had to see if it was just as good at capturing lemon. Yeah, you guessed - it's GREAT! 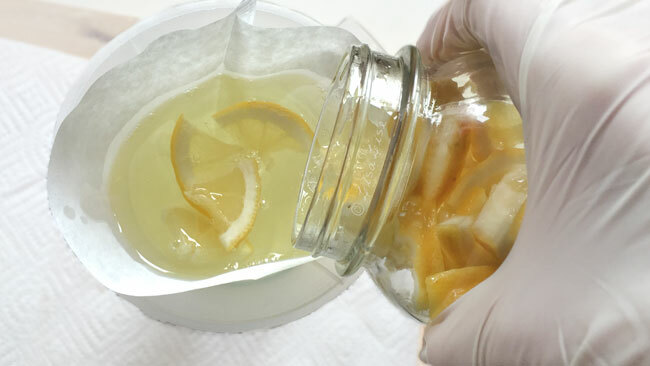 Let's make lemon glycerine extract! Glycerine extracts are commonly made with dried plant materials that are reconstituted with water, then added to the glycerine. The usual ratio of water to glycerine is 50/50. But we're using fresh ingredients here, so we need to do a titch of calculation. Even though this is a glycerine extract (and would not normally need preservation), Aroma Zone (whos method I have followed for this and the previously made glycerine extract) recommends adding preservative. Tip: Always always measure your ingredients by weight - this is the only accurate way to be sure of your amounts in any formula. Place the funnel into the container and line it with your chosen filter. 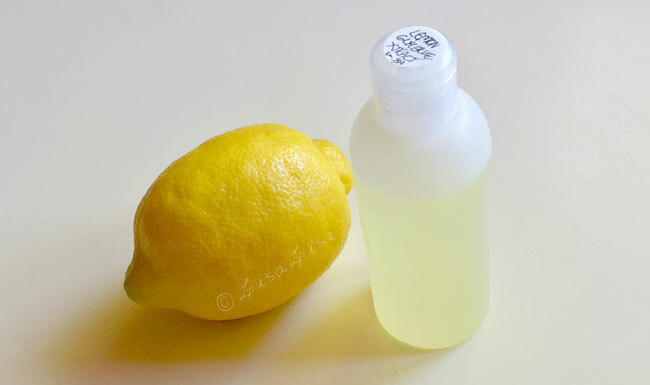 I wish there was a sniff button here - the glycerine has beautifully captured the scent of the lemon. Final step: transfer to your final container. Here's the final product. As you can see, it has taken on a golden hue from the lemon. The extract can be used in place of glycerine in any formula. I've tried this one in skin tonic and the previously-made cucumber extract in an eye cream. We're not done making glycerine extracts just yet... stay tuned for a strawberry glycerine extract. Thank you María for the inspiration - you've really started something here! Hi Lise, this is wonderful, I really want to try it. There is a question though, are there different types of glycerin? Like edible and medicinal or are all the same? Hi María - oh that's a great idea! I've tried it in a cream and shower gel so far, but great for a toner! Beautiful idea. I need to try it just to sniff it! Thank you for this! I have a lemon tree that is bursting right now! Of course this recipe used all of 1/2 of one of them, haha, but if it works well I will make more! I'm now in search of an Ecocert preservative for a 2.5 pH, which is what I ended up with for this product. Hard to imagine it needs a preservative, but, I don't know very much. Thanks for sharing this!! HI Lindy, Thanks for your feedback. Fresh food glycerites do indeed the addition of preservative, although I agree, the acidity of this one - along with the glycerine percentage might suggest it wasn't necessary. I've had a few glycerites go wonky - it comes down to percentage of glycerine to what you have added to it. If you want to try preservative free, give it a shot, but be sure and monitor the mixture carefully and don't add it to anything you give to anyone else until you are sure you have a stable preparation. 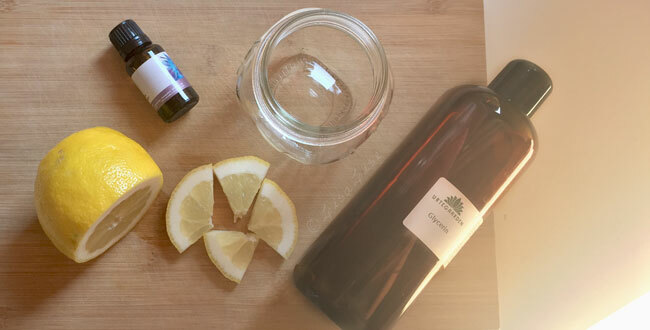 Hello Lisa, lemon sounds lovely and refreshing to include in skincare products. I am wondering whether its safe to use in the day and head out into the sun? 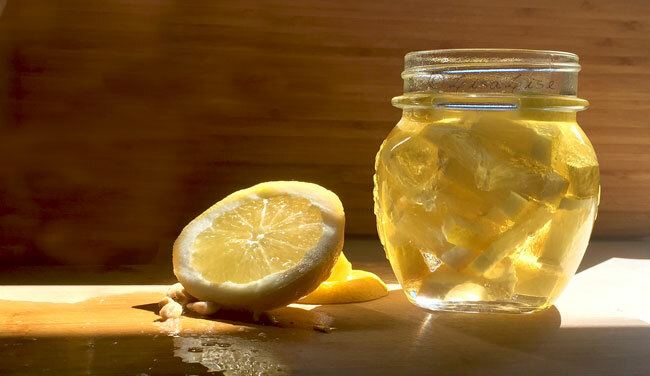 I'm worried about sun exposure after using lemon glycerites. Hi Chua Lin- I understand your concern. If you are adding your glycerite to a leave on product (cream, tonic etc) then you might want to err on the side of caution and keep the percentage very low. If you are using it in a rinse-off you can be more generous with the amount. That said, a glycerite is a milder extraction and does not have the same concentrated strength as an essential oil. Thank you very much Lisa, that makes a lot of sense. There are alot of wonderful fruits with their properties. May I know what resource do you use when researching your ingredients? Do you research scientific journals? This is great and I will try it out. I was wondering though why life spam was only 6 months? Any chance we can build that up to 2 years if we're thinking of shelving it? Hi Laura - You'll probably want to use the glycerite as an ingredient in a skincare product within 6 months of making it, as many cosmetics products have an expected life span of 6 - 12 months, so overall you are looking at a longer period. That said, I have some glycerites that have lasted over 2 years. How To: Let's Make a Highlighter Stick!